Presence - The Fabrics -- Follow me on Facebook to see pieces as I create them!!! (there is a link on my home page). The Fabrics -- Follow me on Facebook to see pieces as I create them!!! (there is a link on my home page). This page shows silk habotai which is lightweight, shiny and ever so beautiful. 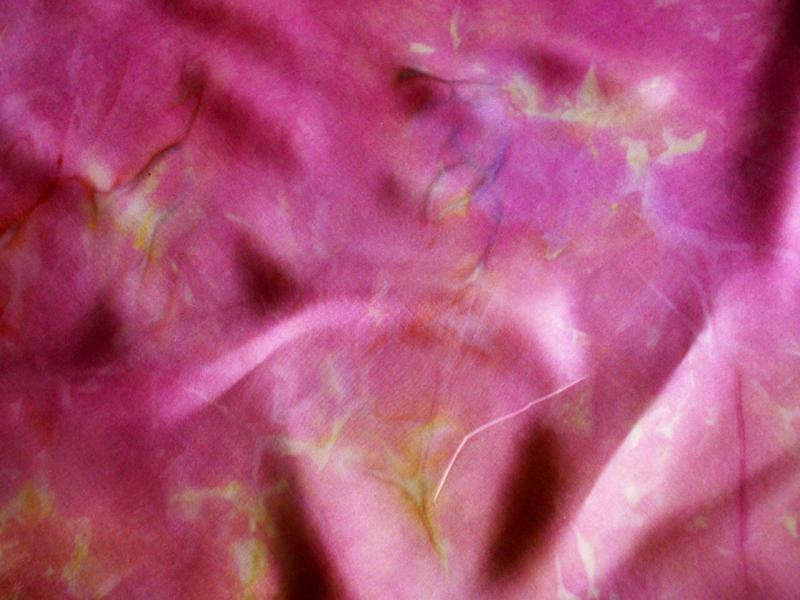 These fabrics make really elegant nuno felted silk scarves, shawls or garments. See the Gallery page for some examples. Each piece of fabric is individual, so patterns will vary. Many of the fabrics have layers of color for a really beautiful look. Also available: 4.5 mm gauze -- see the nuno scarf kits page for the latest colors. Gauze is easiest to start with when you are learning to nuno felt. I have really beautiful hand dyed 16.5 micron merino rovings in all of these colorways. The new rovings are superfine and felt beautifully! I have learned to dye these rovings so there is no felting -- they pull beautifully!I show the matching colors, but you may want contrasting colors -- just let me know. If you'd like a scarf or shawl kit using the habotai, please email me! The prices below are just for the silk yardage. The fabrics are now available by the yard! Up to 3 yards in one length. Introductory price of $29 a yard for 54 inch wide fabric! Works great for nuno garments! Email me and let me know how many yards you need! I will send a paypal invoice. Please allow 2 weeks for me to dye your fabric. If you are using these fabrics for resale, I request that as a professional courtesy, you give me credit for dying the fabric. There are written nuno felting instructions for sale at the bottom of this page. For a limited time these instructions are free with a purchase of materials and I will coach you through! I also have a video for sale -- check that page! I get lots of compliments on my instructions. Silk Habotai 5 mm weight 54" wide -- now sold by the yard! New Color: Caribbean Blue -- also available as a scarf kit with wool and silk and bamboo roving. Just email me or check my etsy shop! Silk Habotai 5 mm weight 54" wide -- now sold by the yard!﻿ This color is called Peace Rose -- also available as a scarf kit with wool and silk and bamboo roving. Just email me or check my etsy shop! also available as a scarf kit with wool and silk and bamboo roving. Just email me or check my etsy shop! Color: Bohemain -- copper, bronze, blue green and blue; also available as a scarf kit with wool and silk and bamboo roving. Just email me or check my etsy shop! Silk Habotai 5 mm weight 54" wide now sold by the yard! Color: golden rust -- gold, copper hints of gray and darker brown -- This has been a top seller! Also available as a scarf kit with wool and silk and bamboo roving. Just email me or check my etsy shop! The pieces I make in the summer often get black lines -- very pretty! Color: Patina -- turquoise, silvery green, copper and bright green; also available as a scarf kit with wool and silk and bamboo roving. Just email me or check my etsy shop! Need nuno felting instructions for a scarf or shawl? I can email a copy to you! Free online coaching via email provided as well! Please note: the wool you use will have a large part to play in the success of your project, especially with the habotai silk. I recommend fine micron merino, especially for the habotai. For a Limited time only! Instructions are free with an order! or if you just need instructions -- Just purchase the item below and send your email address and I will forward the instructions. "These (instructions) are wonderful, Suzanne! I've read them through several times already and can't tell you how much I appreciate your willingness to share the benefits of your own experiences. Previously, I've absorbed what I could from books and have watched lots of videos on You Tube, but I haven't found any clear, complete directions concerning nuno....until these! I can do this!" 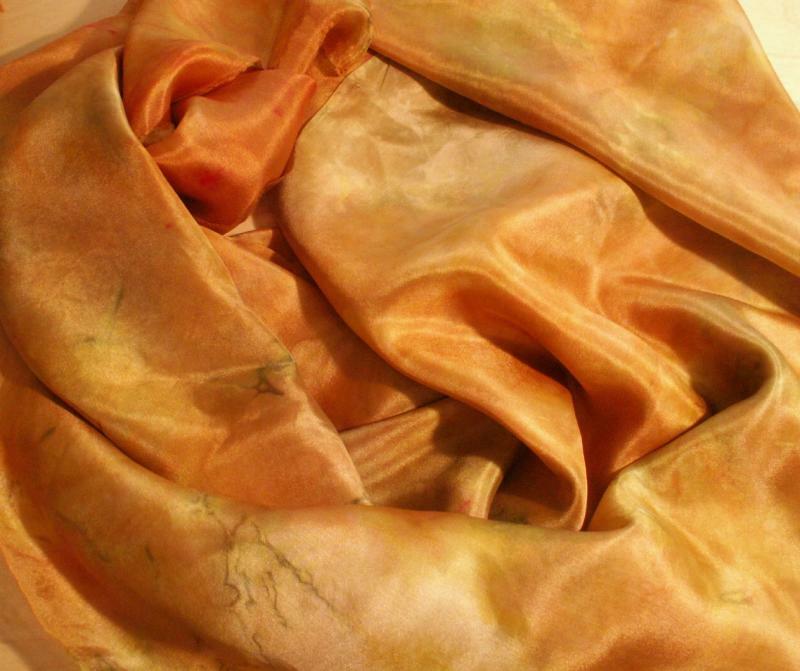 "Your hand-dyed silk arrived yesterday, and I can't wait to explore the nuances of colors already in them, to craft some nuno scarves, shawls and collars! I love how deep and rich the colors are: every one of your scarves glows. The quality of every piece shows your skill and care. Thank you for your artistry!" Love. Love. Love the latest batch of silk! I can't wait to get down to the studio and work! "Wow!!!! I just got the scarves, they were here when I came home. They are so beautiful!!! I love the brown one and all the others. I can hardly bear to felt them." "Hi......Scarves were delivered today and the colors are awsome... your colors are dynamite!!!!" "I wanted to let you know that I got the scarves, they are so beautiful. I love every one of them. I am so happy to have something creative that I can do, with such beautiful fabric." "Thank you so much for the quick service & the scarves I received from my first order are beautiful. Going to be nuno felting this weekend. "I just nuno felted with the brown silk I bought from you and oh my gosh! I just love it! Your silk is the easiest to felt by FAR and the results are amazing." "Hi Suzanne, The silk arrived today and it is even more beautiful than on the computer screen! I hope some day I can take dyeing lessons from you somewhere. Can't wait to get creative now. Thanks, Clada"
"You've got a quality operation going in terms of your fabric artistry and your go-the-extra-mile service. You're an artist who understands an artist's needs and sensibilities and persnicketyness (is that even a word?) and I for one appreciate it very much. And yes, your love of what you do shows up abundantly. People like you are a delight to deal with.
" Suzanne's silk pieces fire me up with inspiration; I cannot wait to see what magical combinations and intriguing pathways she will create next!" "I have finished two scarves using nuno felting on your fabrics; and I am very pleased with the results. I didn't seem to have any problems getting my fibers to migrate through your fabric, and you know I like to use a lot of fibers. 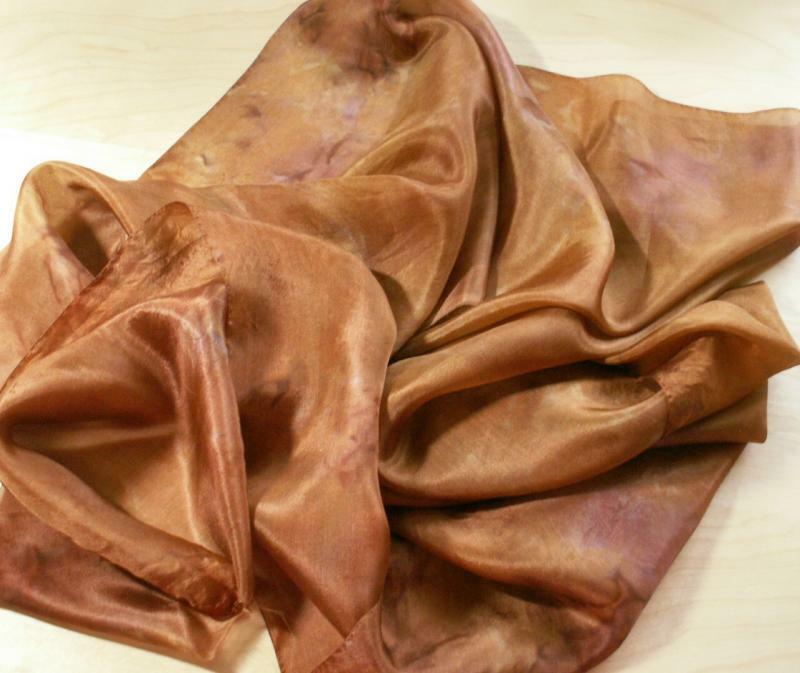 I think what I like most is that with your beautiful hand-dyed silks the scarves are fantastic on both sides. It is like getting 2 scarves; the wool fibers on one side and your silk so textured and puckerly on the other side. I'm so glad we met, and I knew right away that I loved your fabric."